Add style and ultra-accuracy to your fitness regimen. 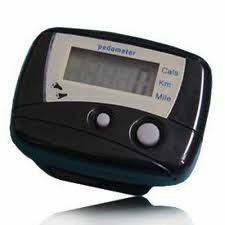 This pedometer can be placed in your shirt pocket or clipped on your handbag. The PDM169 will measure and store your distance walked and calories burned for an entire week.